Oral, Head and Neck Cancer Awareness Week® (OHANCAW), led by the Head and Neck Cancer Alliance and supported by the American Academy of Otolaryngology—Head and Neck Surgery, is April 8-15, 2018. 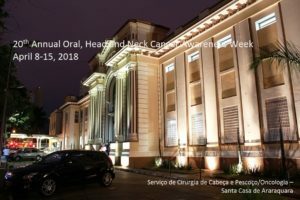 OHANCAW® is a weeklong series of events promoting awareness of oral, head, and neck cancer, highlighted by a day of free cancer screenings throughout. Screen patients and family members and employees at Mount Sinai. Free Head and neck oral Cancer screening for veterans at Jesse Brown VA.
Come join us for a free screening, learn more about oral, head and neck cancers and how to prevent them. This oral cancer screening event is open to both Kaiser Permanente members and non-members. Participants will receive a clinical examination of the mouth at no charge to check for oral cancers by one of our. 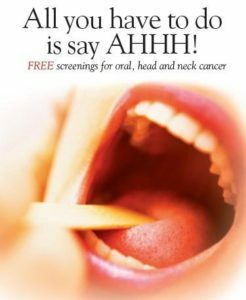 The week of April 9 to 13, 2018 -Benco Dental Hygiene Clinic will host a fee head and neck cancer screening. The FREE screening will be preformed on volunteer community residents that are interested in this service. Luzerne County Community College second year dental hygiene students in conjunction with an adjunct dentist will be preforming. 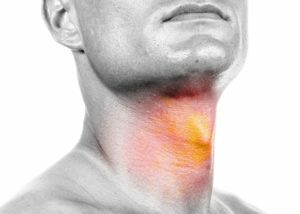 Take 5 minutes and get screened by a physician from our Head & Neck Oncology Team. It is quick and painless and the results could give you peace of mind. Get screened if you have one or more of the following risk factors: * Smoke or chew tobacco * Consume alcohol regularly * Experience persistent. 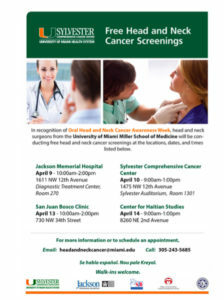 As a part of Oral, Head and Neck Cancer Awareness Week, the Department of Otolaryngology-Head and Neck Surgery at Johns Hopkins University School of Medicine will host a free Head and Neck Cancer Screening Day on Monday, April 9, 2018 from 4pm – 6pm. This screening event is free and open to the public. A.
Columbus Otolaryngology Clinic, 4508 38th St.